After a few weeks in hiatus, the Fashion Friday post returns. 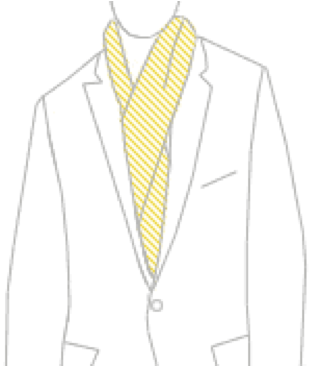 With the weather turning cold, we turn our attention to one of the most basic, and yet, stylish pieces of winter wear: the scarf. Most of our winter garb is primarily black or dark. 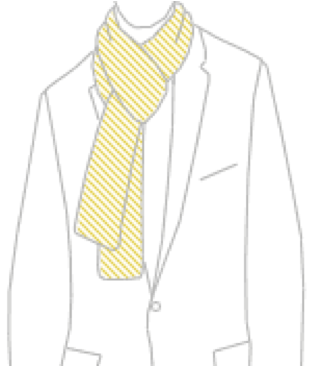 A colorful scarf can add style and personality to your winter clothing without breaking the bank. Most scarves are unisex, so look around your wife’s closet, you might even find something that you could pair up with an existing coat for free. Seen on: Everyone from prep schoolers to snowmen. How to: Like tying your shoe—over, under, and pull. Seen on: Guys in suits, Obama … and the English. 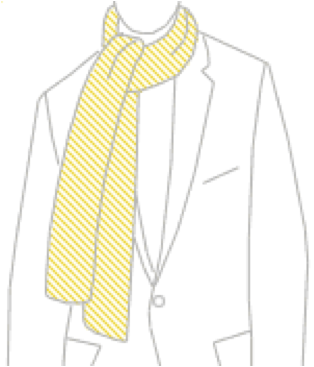 How to: Drape around neck, tuck into sides of jacket and cross ends under your jacket’s buttons. Seen on: Regulars on the Sartorialist … and Italians. 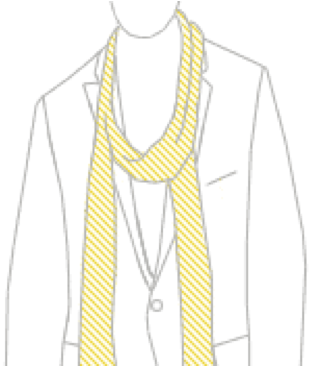 How to: Bring ends of scarf together, wrap around neck, and pull ends through the loop. Seen on: LA hipsters and those not in need of real warmth. How to: Loop once (or twice) around neck, leaving the ends hanging at your sides. Seen on: People trying to avoid hypothermia. 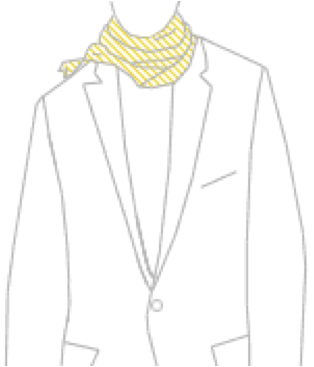 How to: Take every inch of that scarf and wrap it around any exposed skin. Do you wear scarves? What’s your preferred style? Don't wear or own one. As cold as it is, might though. If so, I would go with the casual knot or the formal. Glad to see your metrosexual side shining through. You should try it. I get compliments when I wear one. nice! I'm wearing a scarf agian now that the months are all up ons. I usually do the Slip. I'm a fan of the slip as well. I usually am bird's nest as I do live in Ohio and don't wear a scarf until I need to; when I do need all exposed skin covered. I will be doing the slip more this season; love that look. We'll be rocking the Slip together. Love scarves. Like all styles except the one that looks like an oversized napkin at the supper table. Yes, I wear a slate gray cashmere scarf with my black leather winter coat. I wear the "formal" look, both because that usually matches what I'm wearing and because it's easiest. If I were to switch colors, it would probably be to a bright primary color, like red, rather than paintball explosion seen on Downey Jr. I don't have that much courage–and I'm just not that cool. They are butterflies. And I too couldn't wear something that bright. I'm sporting a black, gray and burgundy combination today. I like your "depending on the occasion" attitude. I love the slip, thats how I rock it. I generally dont like something up under my chin, makes me scratch. So this way I can control the tightness. Great article, theres a knot or two in there Im going to try. 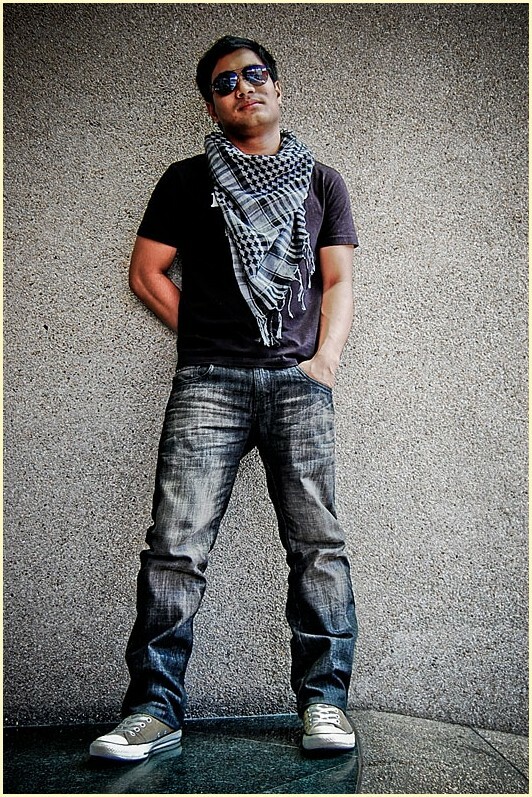 We've had a worship leader off-and-on over the past 6 months who we've labeled "Scarf Boy." The look is not any of those described above, it's I guess kind of grunge. It is a long one and usually reaches the floor. One time he had it wrapped around his ponytail in back, then over the shoulders and tucked into his pointy boots. Another time he wore it wrapped once around his waist, with the ends coming up under his armpits and around his shoulders and then tucked into the front of the v-neck he was wearing. You know if I had pics I would post. I'm so disappointed that such a fashion statement is not documented in pictures. You've got to get pic of this one, Jon. I lived most of life in North Carolina and never wore a scarf. The first year we moved to Pennsylvania, my wife's family gave me a wool scarf for Christmas. When it gets cold, there is nothing else like it. I cannot stand to wear a turtleneck but they do keep you warm. The great thing about scarves is that they can keep you warm and then you can remove them when you get inside, unlike a turtleneck (have you done a turtleneck post yet? :). When it gets below 10 degrees, I have even worn a scarf running. Maybe someone will make a really cool scarf specific for running one day. I have running masks that cover most of my face for very cold runs, but not a running scarf. I'm sure someone has invented the running scarf, it's just not popular yet. Just so you know, I broke out my scarf this past weekend after reading this. I've always just gone with the formal, out of ignorance. So I'm sporting the basic knot. Diana told me I was wearing it wrong and tied the "slip". I said, do I look Italian?? 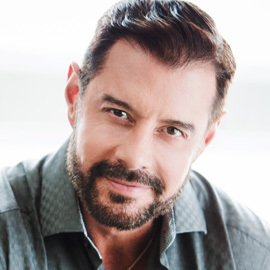 My little girl, Molly, looked at me and said, "Dad I hate to say this but you look gay"! I thought to myself "Cool! I must be doing something right"! Great post. I just got made fun of by 3 girls for wearing a scarf. They said it was metro and "gay." I was a little offended as I wear the scarf that was made for me nearly every day that it is below freezing. I am going to share this post with them! 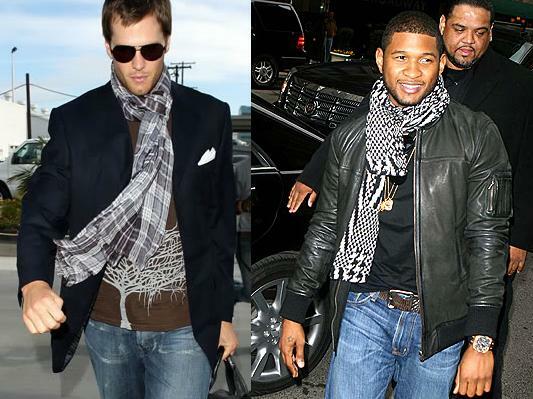 Not sure where they have been hiding, i know lots of non-metro dudes that wear scarfs. Fantastic post, Im spreading the word on my blog. Make sure you take a look. I wore scarves a lot when I lived in Europe. There’s no issue about it being metro or gay, lots of guys wear them and they look great. I find the weather in North Carolina barely cold enough for scarves but I definitely wear one when I head up to Canada in the winter. I like the slip. Europeans also wear “manpris” which some Americans have embraced. Yours truly, not so. The “tourban” can be troublesome in airports. 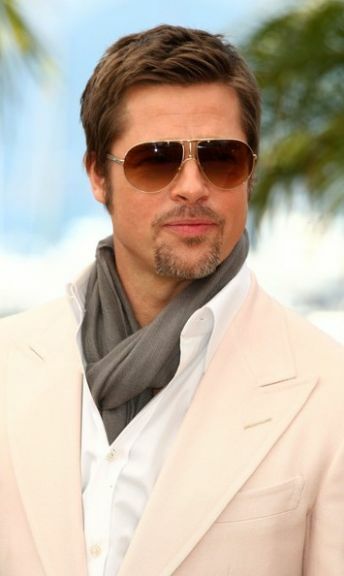 Why shouldn’t men wear scarves in Milano, which is the fashion capital of the world every man is wearing a scarf.